Genting Malaysia Bhd is moving to assess the full implications of the recently introduced increase in annual casino license fees and gambling taxes, the gaming and hospitality company said today in a filing to Bursa Malaysia. Malaysian Finance Minister Lim Guan Eng introduced the country’s 2019 budget plan this past Friday. Stricken by financial scandals and growing budget deficit, Malaysia will implement higher casino and gaming machine license fees as well as higher taxes on those operations as part of its effort to mend its ailing economy, it became known last week. Under the new budget plan, casino operators will be required to pay a MYR150-million annual license fee, up from MYR120 million. In addition, land-based casinos will be taxed at 35% on their annual gross income from January 1, 2019, when the reforms are set to take force. Slot machine operators in Malaysia will have to pay an annual license fee of MYR50,000, up from MYR10,000. Their operations will be taxed at 30% on annual gross proceeds from next year, up from the current rate of 20%. In today’s filing, Genting Malaysia said that it is assessing the implications of the new tax regime and that it will “take the appropriate next course of action which includes a review of its marketing expenditure and cost structure” in a bid to mitigate the imminent impact of the new tax and license fee. Genting Malaysia operates the Resorts World Genting integrated resort in its homeland. The property is located on the peak of Mount Ulu Kali not far from the Malaysian capital, Kuala Lumpur. Among multiple other facilities, the property features a full-blown casino with slot machines and gaming tables. The company’s shares closed at a three-year low on Monday in a knee-jerk reaction to Friday’s introduction of the new budget plan. The stock has improved since then, closing at MYR3.64 today for a market capitalization of MYR20.579 billion (approx. $4.9 billion). 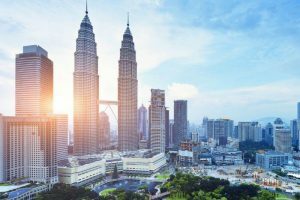 First reports about Malaysia’s plans to increase gambling taxes and licensing fees emerged in October. Back then, analysts from two research houses pointed out that Genting Malaysia would not suffer any major negative impact from a potential implementation of higher rates. According to Nomura International and Maybank Kim Eng Research experts, the planned opening of new attractions at Resorts World Genting next year would help the company weather any looming reforms. The gaming and hospitality operator has previously unveiled plans to add 1,500 hotel rooms at its resort as well as the 20th Century Fox World and the Skytropolis theme parks. Genting Malaysia has also pointed out that it targets 30 million visits at the property by 2020. Resorts World Genting welcomed around 22 million visitors last year. The post Genting Malaysia to Review Marketing Expenditure as New Casino Tax Hits Stock appeared first on Casino News Daily.